Neiman Marcus….oh how I love thee. I love their clothes, I love their shoes, and I love their food! Some of my favorite recipes are their famous $250 Neiman Marcus Chocolate Chip Cookies, followed by NM popovers, NM Chicken Salad, NM Turkey Meatloaf, and NM Gooey Butter Cake (yet to be blogged.) All of these recipes come from the Neiman Marcus Cookbook by Kevin Garvin with John Harrisson, including these Mandarin Orange Souffle Salads! Since I was a little kid, we would shop, and then eat at the Neiman Marcus cafe on the third floor, across from the children’s clothing and home decor section. I would order a kids hamburger and snack on popovers until my food arrived. Now that I’m older (and a little more refined,) I’ll order the “Mandarin Orange Souffle,” which includes NM classic chicken salad, seasonal fruit with poppyseed dressing and a muffin of the day. Mmmmmm, so good! Sprinkle unflavored gelatin over orange juice. Stir to combine and let sit. Meanwhile, bring to a simmer orange juice, sugar and egg yolks. 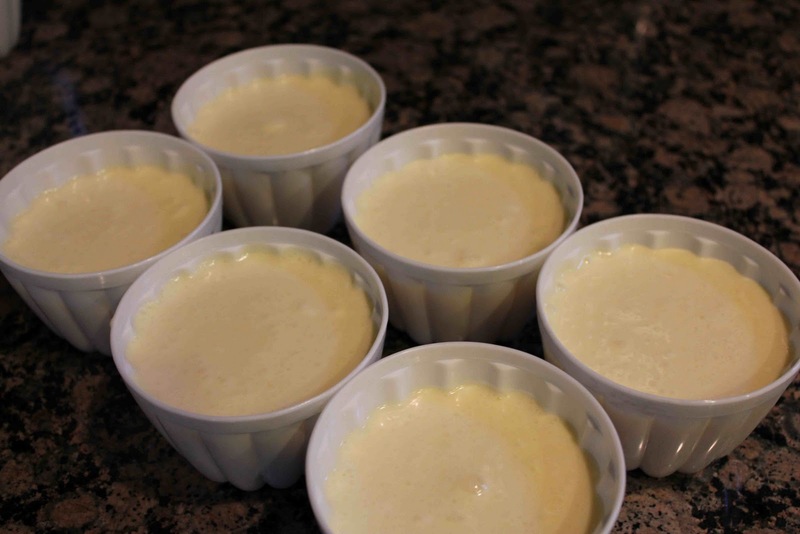 Pour custard into smaller bowl and place in ice bath to cool. Whisk heavy cream until soft peaks from. Fold into custard mixture. Place three to four mandarin orange sections into individual plastic, fluted dessert molds. Pour souffle mixture into molds. Refrigerate for at least 4 hours, preferably overnight, or until firm. 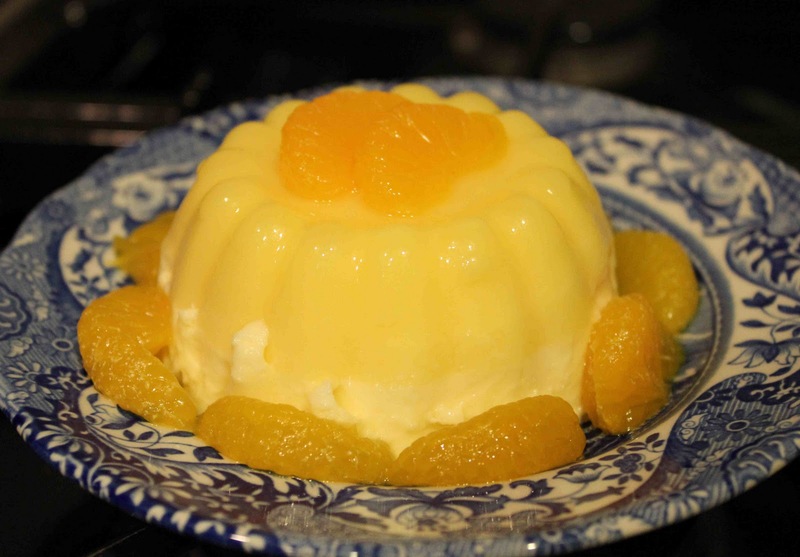 Unmold carefully and garnish with mandarin orange sections. 1. Pour 1/4 cup of the orange juice into a small bowl, sprinkle gelatin over, and stir to dissolve. Set aside and let the gelatin soften. Prepare an ice bath in a large bowl. 2. Pour the remaining orange juice into a small, heavy-bottomed saucepan and stir in the sugar and egg yolks. Over medium heat, gradually bring the mixture to a simmer, stirring constantly until the mixture begins to steam and is slightly thickened. Do not allow the mixture to boil. 3. 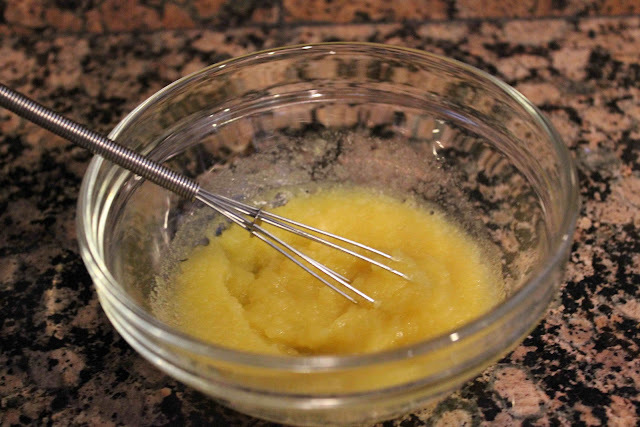 Add the softened gelatin mixture (which will have a rubbery texture) and the lemon juice. 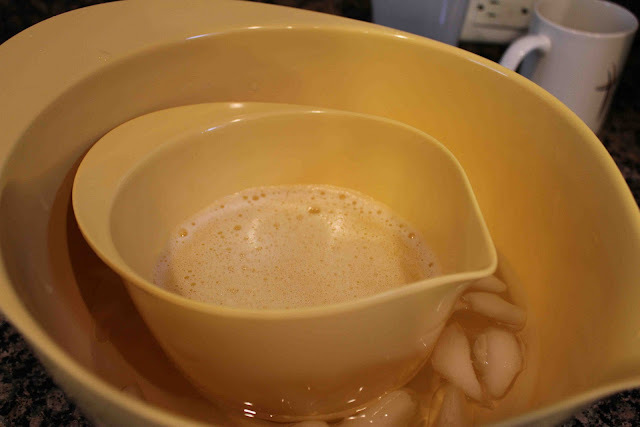 Stir until incorporated and then transfer the “custard” to a clean mixing bowl; sit the bowl in the ice bath to cool. While custard is cooling, stir it occasionally. 4. 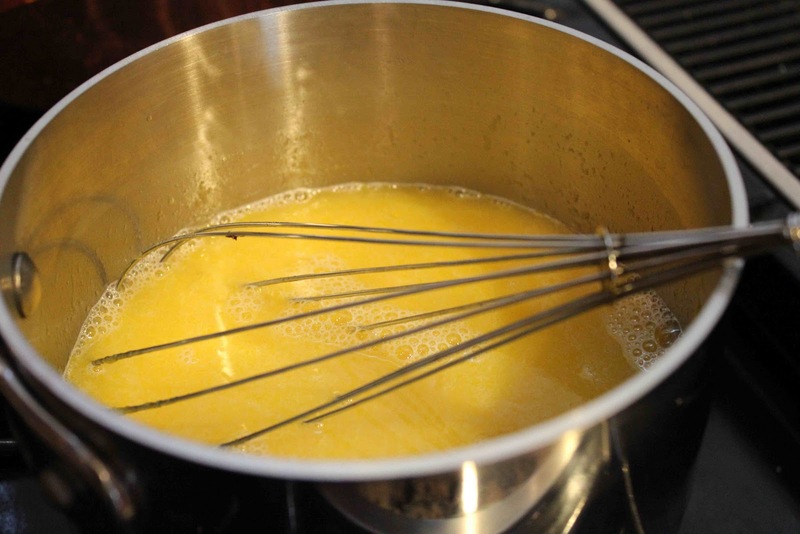 Using a wire whisk or an electric whisk, whip the heavy cream until soft peaks form. 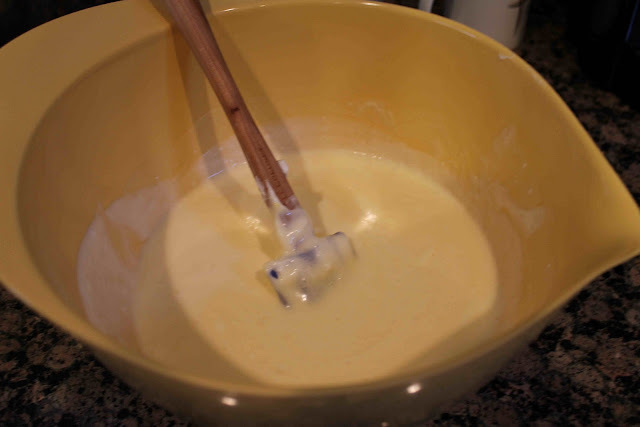 With a spatula, gently fold some of the whipped cream into the cooled custard mixture to “loosen” it, then add the rest of the cream mixture and fold in until fully incorporated. 5. 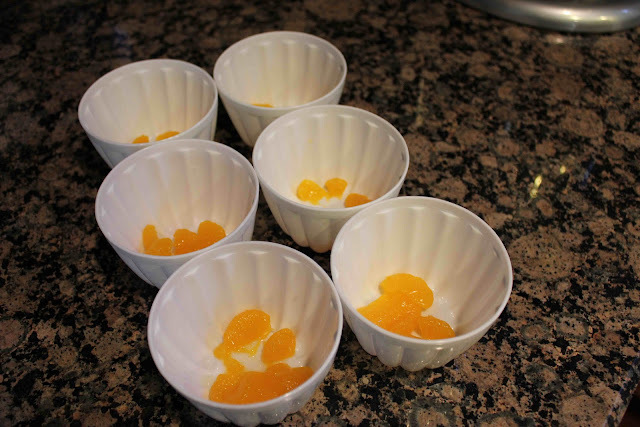 Place three or four of the mandarin orange sections in the bottom a six individual 5-ounce fluted plastic dessert molds and then fill the mold with the orange souffle mixture. Cover with plastic wrap. Transfer to the refrigerator and chill for at least 4 hours, and preferably overnight, until firm. 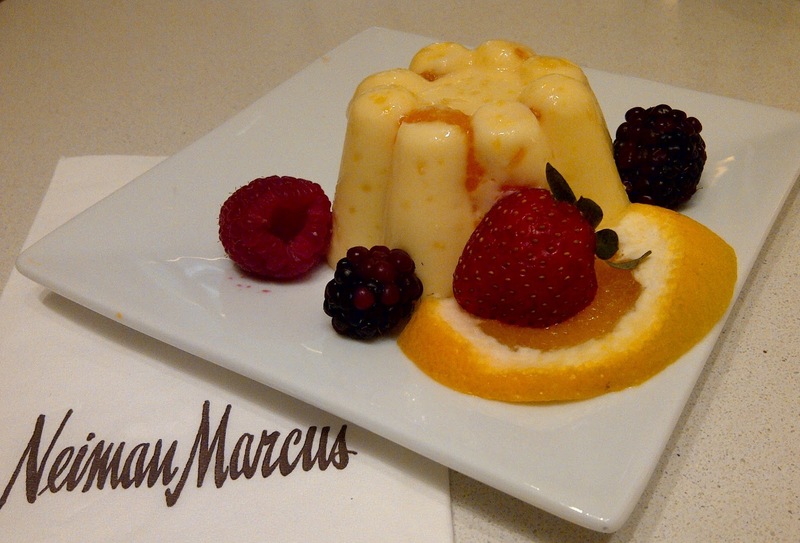 *Chef’s Note: In the Neiman Marcus kitchens, this dish is referred to as the “O-ring,” owing to the fluted individual round molds used for the souffles. These molds are available at kitchen stores, but alternatively, you can use 6-ounce plain molds or ramekins, or coffee cups, in which case, use a sharp pairing knife to carefully unmold the souffles.